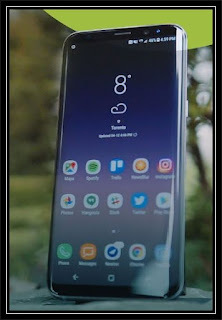 Samsung Galaxy S8 Wireless Setup Guide - Wi-Fi is a term used for certain types of Wireless Local Area Networks (WLAN). Wi-Fi communication requires access to a wireless Access Point (AP). 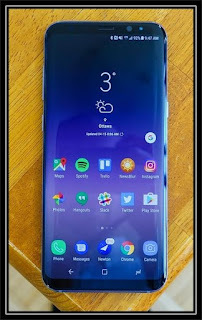 Learn to get an advanced setup Samsung Galaxy S8/S8+ here. 2. Tap Settings > Wi-Fi, and then tap On/Off to turn on Wi-Fi. When Wi-Fi is turned on, your device automatically scans for available networks and displays them. 3. Tap the network you want to connect to. When you select an open network, you are automatically connected to the network. Otherwise, enter a password to connect. You can use Samsung S8 connect your device to a Wi-Fi network manually. 3. Swipe to the bottom of the screen and tap Add network. Network name: Enter the name of the Wi-Fi network. Security: Select a security option and enter your password. Auto reconnect: Connect to this network automatically whenever available. Show advanced options: Add advanced options such as IP settings and Proxy settings. 5. Tap Connect to store the new information and connect to your target wireless Access Point. The Samsung Galaxy S8 Wi-Fi settings menu allows you to set up many of your device’s advanced Wi-Fi services. Show Wi-Fi pop-up: Notify if Wi-Fi is available when opening apps. Smart network switch: Connect automatically to a mobile network connection when the Wi-Fi connection is unstable. Wi-Fi notifications: Receive notifications when open networks in range are detected. Hotspot 2.0: Connect automatically to Wi-Fi access points that support Hotspot 2.0. Manage networks: Manage your saved Wi-Fi networks. WPS push button: Set up a connection to a WPS (Wi-Fi Protected Setup) router or other equipment. WPS PIN entry: View the PIN used by your device to set up a PIN-secured connection to a Wi-Fi router or other equipment (not configurable). Keep Wi-Fi on during sleep: Specify when to disconnect from Wi-Fi. Install network certificates: Install authentication certificates. Wi-Fi control history: View devices that have turned your Wi‑Fi on or off. MAC address: View your device’s MAC address, which is required when connecting to some secured networks (not configurable). IP address: View your device’s IP address (not configurable). Samsung Galaxy S8 Wi-Fi Direct allows direct device-to-device connections using Wi-Fi, without having to connect to a Wi-Fi network. Use Wi-Fi Direct to connect directly to other Wi‑Fi Direct devices. Wi-Fi must be on to configure settings. 3. Tap Wi-Fi Direct. Your device automatically scans for nearby Wi-Fi Direct devices. 4. Select a device, and then follow the prompts to complete the connection. Share data with another device using Wi-Fi Direct. 1. Connect Samsung Galaxy S8 to the device using Wi‑Fi Direct. 2. From an app, tap Share or More options > Share. 3. Tap Wi-Fi Direct and follow the prompts. Disconnect Galaxy S8 from a Wi-Fi Direct device. 2. Tap Settings > Wi-Fi > Wi‑Fi Direct. 3. Tap a device to disconnect it. 4. 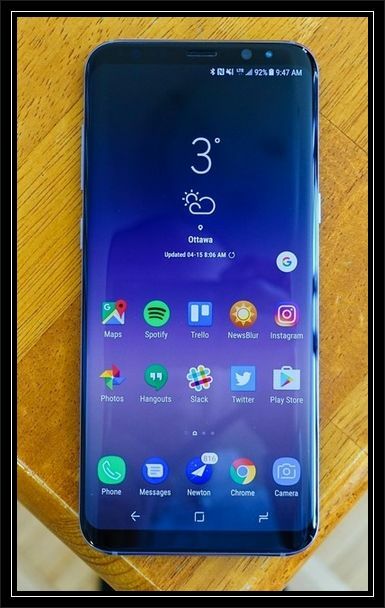 For information wireless setup you read Galaxy S8+ manual.